I'm very pleased with how it turned out and I hope Hayley's family is too! I tried out a few new techniques courtesy of the lovely Mrs. Young and they were ok. I definately need to practice more and more but not bad, I think. And let me tell you that the top "present" is Devil's food...a new recipe and by far my favorite. I'm not a chocoate lover but man oh man is that one good piece of cake. 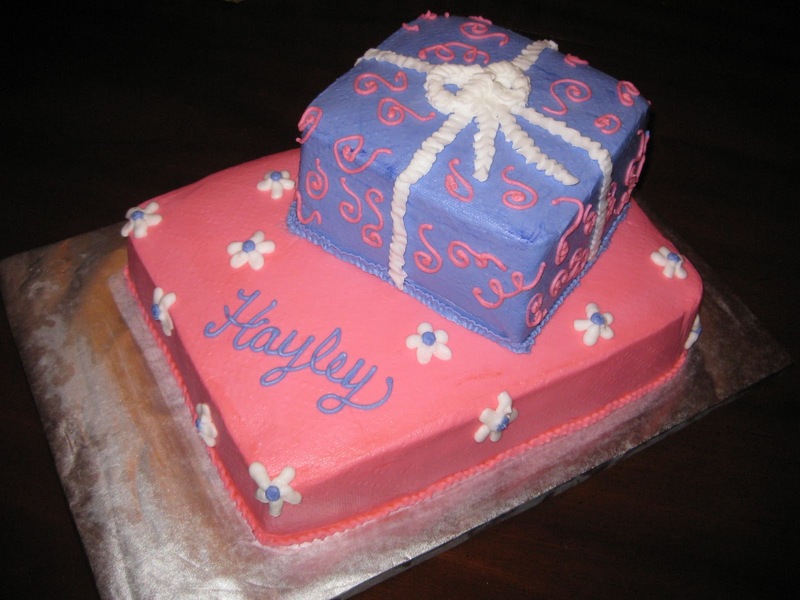 I had the carve it, you see, to make the smaller present cake and had to try it out. Lucky for me, there was extra so I froze it for a rainy day!